KABUL -- Coalition air strikes killed at least 30 militants on Monday (September 10) in Nawa District, Ghazni Province, NATO's Resolute Support mission reported in a statement Wednesday (September 12). The strikes hit Taliban leaders and fighters in compounds associated with Taliban Commander Hamidullah and frequented by a senior provincial Taliban commander Mullah Haji Salaam Akhundzada. "These successful strikes degrade Taliban influence and operations in Ghazni Province and beyond," the statement said. "The removal of such a large group of Taliban fighters in one day is a tangible example of Afghan and US co-operation using intelligence and operations to spoil Taliban plans," said Brig. Gen. Otto Liller, deputy commanding general of NATO Special Operations Joint Task Force-Afghanistan/Special Operations Joint Task Force-Afghanistan. In August, the 203rd Thunder Corps of the Afghan National Army launched air strikes in Moqor and Gilaan districts in Ghazni, killing at least 28 militants. The air strikes wounded at least eight other militants and destroyed vehicles belonging to the militants, the Afghan army announced August 27. The air strikes follow a brutal Taliban 5-day siege of Ghazni earlier in August. On August 10, Taliban militants besieged Ghazni city, killing or wounding hundreds of civilians, including women and children. Coalition air strikes and Afghan forces on the ground pushed the militants back for days, killing an estimated 150 fighters, until booting them out on August 15. The destruction was devastating: the Taliban burned dozens of houses and businesses, and committed heinous crimes against humanity. 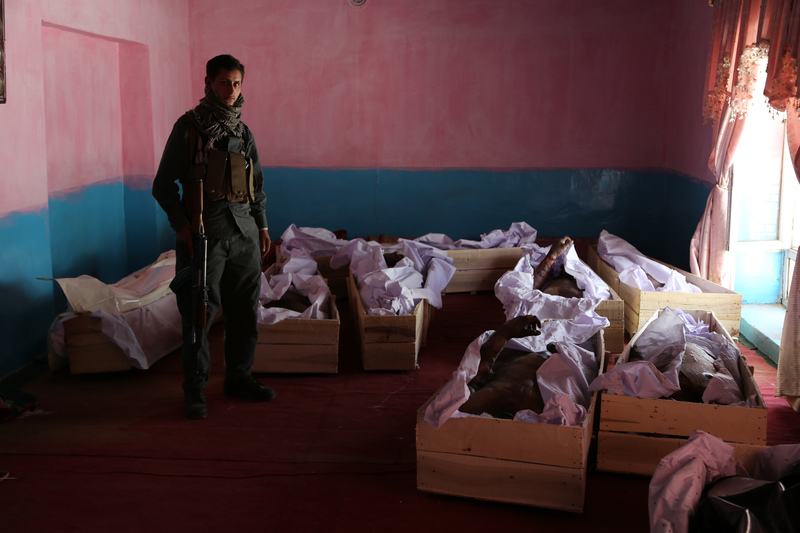 "The Taliban ... turned Ghazni into a slaughterhouse," said Khaliq Dad Akbari, a member of the Ghazni Provincial Council who fought for four days on the front lines against the Taliban. "The situation that the Taliban brought upon Ghazni is not acceptable in any religion, especially in Islam," he told Salaam Times. "The Taliban are not related to any religion or sect; rather, they are savages of the century." The Taliban killed and wounded hundreds of civilians, including women and children, burned houses and businesses, and committed heinous crimes against humanity during their slaughter.